Every business might be wondering how to improve their site ranking and maintain the same ranking all the time. The sites that are on the first page of SERP focus on important google ranking factors. They make sure to meet these factors to keep up their ranking always on the top. More importantly, there need a lot of SEO resources to follow these ranking factors. There are around 200 ranking factors. The following ten important ranking factors will place the site on the top position always. Search engines rank the website based on the top ranking factors. 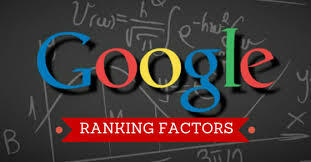 Here, we are going to discuss about the top ten important Google ranking factors. Every website should focus in 2017 to stay always ahead of their rivals in the Google SERP results. This is the most important google ranking factor that every website owner should consider to improve their ranking. Google crawlers checks the page credibility. Quality back links to the web page makes the web page more credible. Google does not rank unauthorative pages. The website authority can be improved by building quality back links. The bloggers should get in touch with the similar websites to get quality back links which improves website authority. You can publish guest posts in the blogging sites with the link to your websites. You need to use quality back links for every web page on the website. Do not buy the back links and get your site penalized by Google and push down your ranking instead try using the best link building strategy to make your web pages authoritative. Link relevancy is the another important google ranking factors. Google decides the web page authority based on the number of quality back links that the web page has. The back links should be from reliable websites. Here we need to get quality back links, but should get relevant inbound links to your business. Google rank the websites that have quality and relevant inbound links. All back links to your web pages should be relevant and are from a reliable websites. It is crucial for you to completely focus on building links from authoritative and trustworthy sites. This ensures that the links pointing to your site are from the blogs or websites similar to your industry. Aim at getting as many high-quality inbound links as you can, but make sure all of these links are relevant. 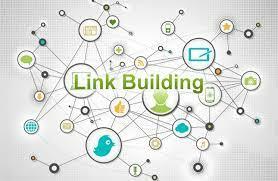 Focus on link building only from authoritative and relevant sites. This will help to ensure that back links of your site are from the same industry and niche as yours. There is no doubt that content plays a crucial role in the Google ranking factor. This is the second most important google ranking factor that the Google considers to rank a website on SERP. Since a few years, content is driving the digital marketing world. Many businesses are depending on content marketing strategy to gain scores of traffic. The informative content is educating the users on the benefits of buying those products. The content should be present in a unique way. This drive huge traffic and provide good ranking on SERP. Do not publish poor quality content that is of no use for the audience on your website, since this may take a toll on your website ranking. More importantly, you should not create shorter posts; instead post around 1000 to 2000 words of content that educates user on any topic. After learning the fact that lengthy content would rank better in Google search engine results page, Google will impose penalty on the websites that post useless stuff. Basically, thin content is the one that adds no value or little value to the keywords searched by the users. Google Panda and Penguin algorithms will impose penalty to the sites that post scrap content. Google algorithm updates are completely about focusing on the websites that post plagiarized and useless content. Google crawlers crawls the web pages that have fresh and unique content and index the content. The site with fresh and unique content is rank better. You need to remove the web pages with duplicate content to get slammed with penalties by Google. You can stop the pages from crawling by bots. Ideally, the pages with duplicate or thin content add no value to the Google searchers. If you have any such pages, then delete them immediately to avoid pushing down your ranking. There are many blogs which post thin or useless content, thus having high bounce rates. This means that, when a website visitor lands on your web page, he/she spends only a few seconds on the site and bounce to another site. The impact of bounce rate is higher on the Google ranking. Google calculate the amount of time spend by the visitors on the web page. The site will less bounce rates are ranked better on SERPs over the sites with higher bounce rates. When website visitors spend a lot of time on the web page, Google identify that page to be informative to the visitors. If your website has high bounce rates, then you need to think about reducing the bounce rate. And, the best way to reduce the bounce rate is to create unique and original content. You need to add informative content and catchy headlines in the posts. The web pages should not be crammed with content instead should be visually appealing and de-cluttered to let the users navigate through the web pages with ease. Make sure that you place the call-to-action buttons in the right places on the web page to drive huge traffic and generate leads. 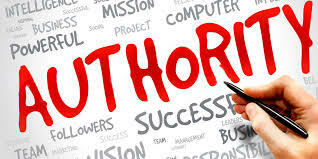 Domain authority is one of the important google ranking factors that plays equal role as the role played by Page authority in ranking the web pages. Basically, domain authority has 40 different ranking signals and the ranking signals are rated on the scale of 1 to 100 where one is considered to be worst and 100 to be the best. The website that has better domain authority would rank better in search engine results page. 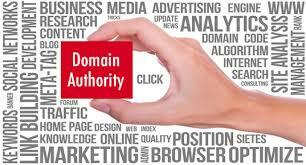 There is lot that a website owner needs to do to improve the domain authority. The domain authority solely is not based on the domain’s age. Without keywords search engines cannot work. Ideally, Google not just consider the keywords used in the keyword to rank the site, but also it considers the keywords incorporated in the title tags as their ranking factor. The pages that add keywords in the titles rank better by Google. When the spiders visit your web pages and start to crawl, they can identity what is your page about by going through the beginning of the title having target keywords. The website contain keywords in the right position. In fact, Keyword position is a Google ranking factor. The Google crawlers will check the keywords in the URL of the web page, content, Header tags including H1, H2 and H3. When you place the keywords in these places, it makes sure to the Google bots that you have positioned the keywords in the right places and your content is completely focused on the target keyword. In case, if your page content does not match with the keywords, then your web page will be penalized by Google. Google is focusing on keyword relevancy. You need to position the keywords in the right place using relevant keywords. The keyword are eme the first 100 words of the post and then place it in then URL and then in the header tags. You need to include the keywords in the Meta descriptions. Many people are accessing the virtual world through their mobile. In fact, 51.3% of internet users access the Internet through mobiles. With the increase in number of people accessing through mobiles, Google ranks the website with responsive design to rank better over the other websites. The responsive design of the site lets user to access the web pages from mobiles and desktop systems. Responsive design is one of the important google ranking factors. If you want to rank better on Google search engine results page, then make your website mobile friendly. Moreover, the sites with many pop-up ads will annoy the website visitors and never let them to visit your site again. These ads will affect the experience of the users. The Google started to penalize the mobile sites that are showing irrelevant ads. You should avoid showing up irrelevant ads on the site and ruining the experience. The top 10 most important Google ranking factors are discussed above. These factors are considered to apply on their websites that are lurking in the dark to bring their website into light. This practices help the sites to rank better and gain huge traffic. A good read! Quite useful article to know about the key factors that affect ranking in Google’s search results.